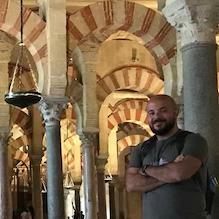 I am a multicultural, multilingual, multidisciplinary scientist with multiple areas of interest within bioinformatics. I usually have my code well-caffeinated and full of snakes, as well as taking a pirate’s approach to statistics. Besides being prolific in bad puns; I work with analysis of, and method development for, mass-spectrometry proteomics data. On occasion, I take a shot at analysing next-gen sequencing data, as well. Besides the scientific projects I often participate in extracurricular academic and social projects, such as being a representative for the students and postdocs association at CPR and organising collaborative workshops on developing teamwork and communication skills. I am fairly active on StackExchange sites, particularly Academia and StackOverflow. 03/2017–present: Postdoc at the Novo Nordisk Foundation Center for Protein Research, University of Copenhagen, Denmark. 01/2016–02/2017: Researcher in Prof Mats Ohlin’s group at Lund University, Faculty of Engineering, Sweden. This was a project in collaboration with Alligator Biosciences AB. 05/2011–12/2015: PhD student at Lund University, Faculty of Engineering, Sweden. 09/2010–05/2011: Research engineer at Lund University, Faculty of Engineering, Sweden. I would be happy to provide a full resume, upon request, make sure to send some smoke signals if you are interested.